July 2012 – Girl Who Would be KING on Life, Style and INSPIRATION. It doesn’t take much for roast chicken to taste great with just about any kind of spice rub or marinade but we were surprised at how extremely fall off the bone tender & delicious this turned out. 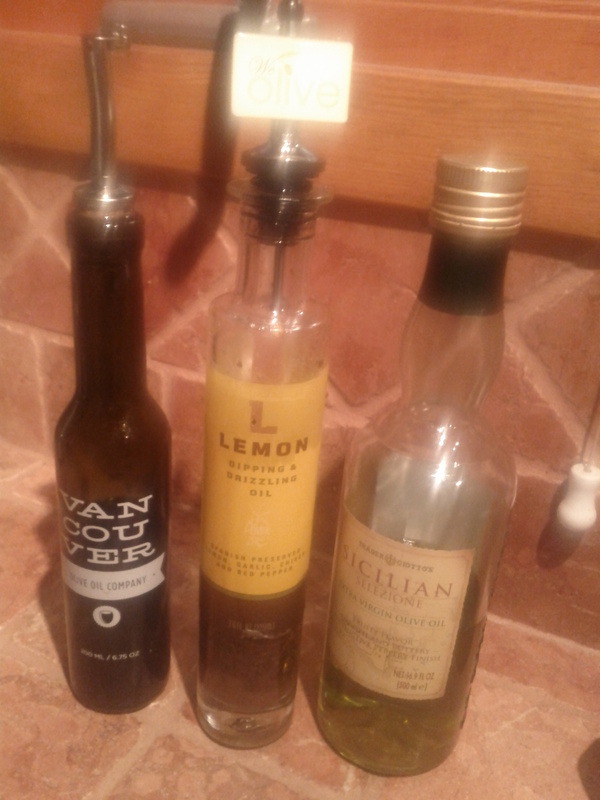 Someone told me that all you need to make an excellent recipe is a combination of three key ingredients. Using more doesn’t necessarily make it any better. This recipe came about by mistake because of a chicken sitting in my fridge where the best before date was that day. The packaging said it had to be cooked or frozen by that very same day so I decided to cook it with what was on hand………….which turned out to be lots of limes and a bottle of tequila. Sometimes you improvise and it turns out great – other times not so much. Now how can you go wrong with tequila? Pat the chicken dry first then rub a chilli mixture & a little kosher salt all over bird. Squeeze fresh lime juice everywhere and pour (just under ½ cup) of tequila all over as well as in the cavity. 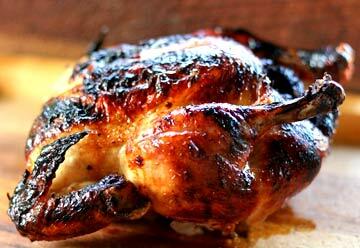 I baked it in a clay pot at 425 until done and juices ran clear while basting every so often. Took the top off during the last little while to let it brown & the skin crisp up. Cooking in clay is amazing (more on that in another post) but if you don’t have a clay pot just cook it as you normally would – 350 at about 20 minutes per pound. Remember if it doesn’t turn out right just keep adding more tequila………………..and make chicken some other time! Scene in the City – GET OUT! 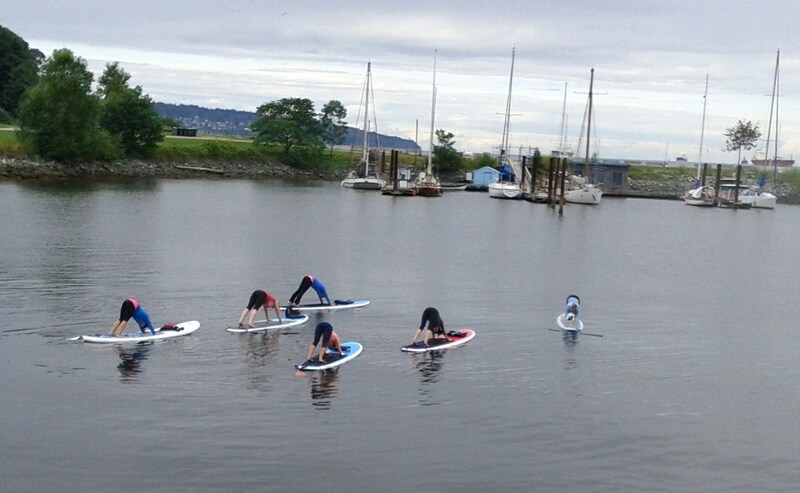 Doing Downward Dog on your Paddleboard makes perfect sense. Everyone knows our grass is greener so this makes even better sense. 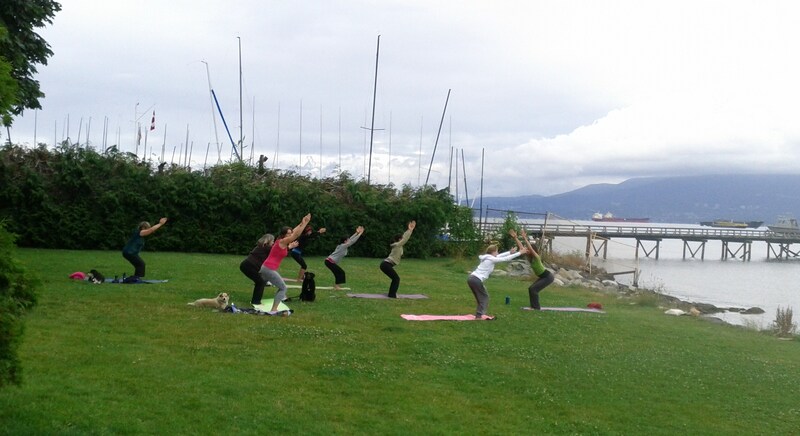 Basically what I’m saying is that we’ll take our yoga in any way, shape or form. On average, jumping rope burns about 11 calories per minute. If you crank up the intensity of your jumps, you can burn in the neighborhood of 20 calories per minute. It’s easy to see why this exercise is easily one of the best cardio activities you can try. How about learning to Wind Surf? I hear it’s a breeze! Take a lesson from us! MAYBE YOU’D RATHER DO SOMETHING CLOSER…..to home. Free Sunday lesson from 3:00 – 5:00 p.m. Dancing after until 7:00 p.m.
**I can’t locate the photo of hula lessons (not hula hoop – hula as in grass skirts) at Sunset Beach but that looked like fun too. Until next time…………..enjoy your day! Be careful who you step on on your way up the ladder because they may trip you on your way down. What do YOUR shoes do for you? Mine have a built-in gym! 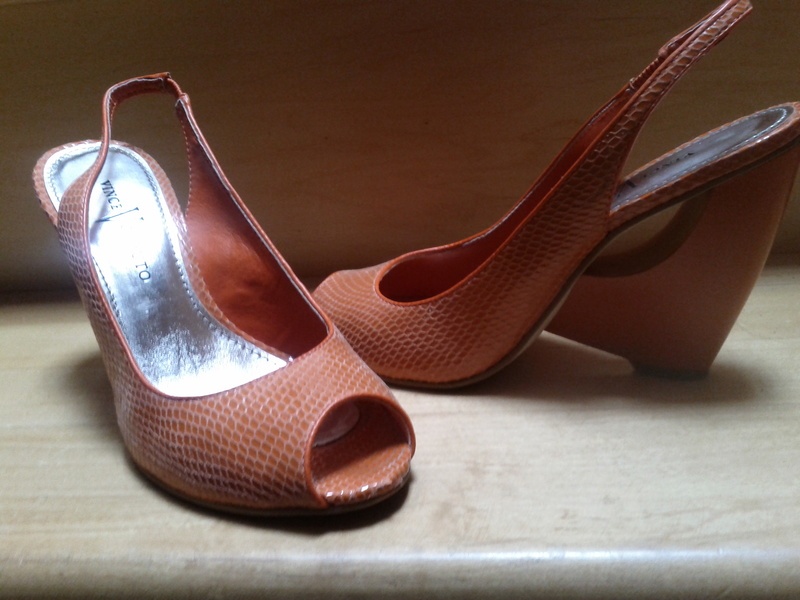 Love wearing my orange Vince Camuto shiny snake leather shoes with the cool heel & Coach wedge flip flops. In summer I gravitate to wearing “Fit Flops” (thank you Devra for introducing me to them) every time for incomparable walking comfort. See below. 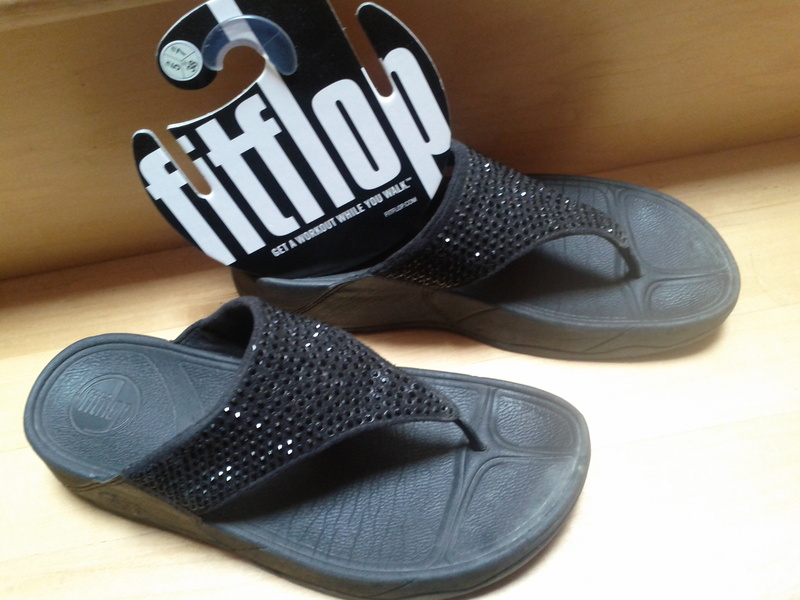 “Fit Flops” are biomechanically engineered to increase leg and muscle activity, absorb more shock than a normal shoe, reduce foot pressure and pain, and realign ground reaction force closer to your joints. That’s a lot of boasting for one pair of flip flops! All I know is when I wear either of my only two pairs my feet are thanking the ground I walk on. All my other flip flops (too many) don’t even compare. I live in their leather/sheepskin booties for winter & you know If Oprah endorses them they must be good. Never say “should” but I should have bought more. What to do with that rusty old ladder? 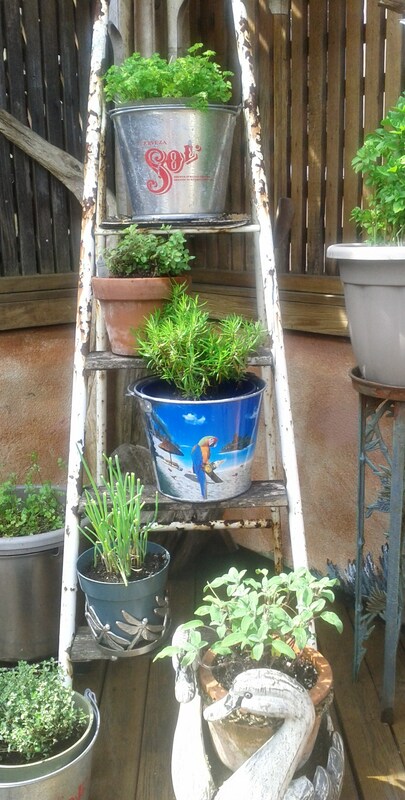 This ladder is an antique (which sounds better than just plain “old”) and used as a stand for potted herbs or plants in buckets that were just lying around. 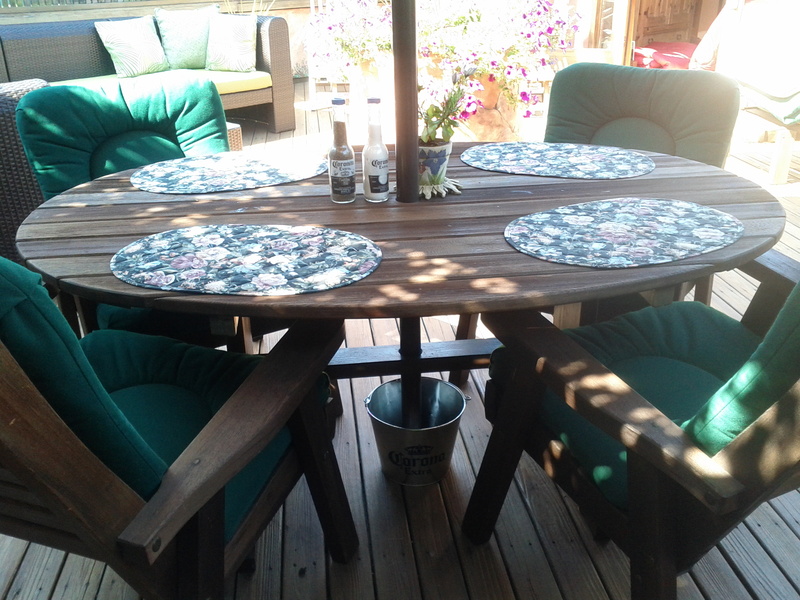 You can clean it up but the seasoned patina gives it a vintage look. 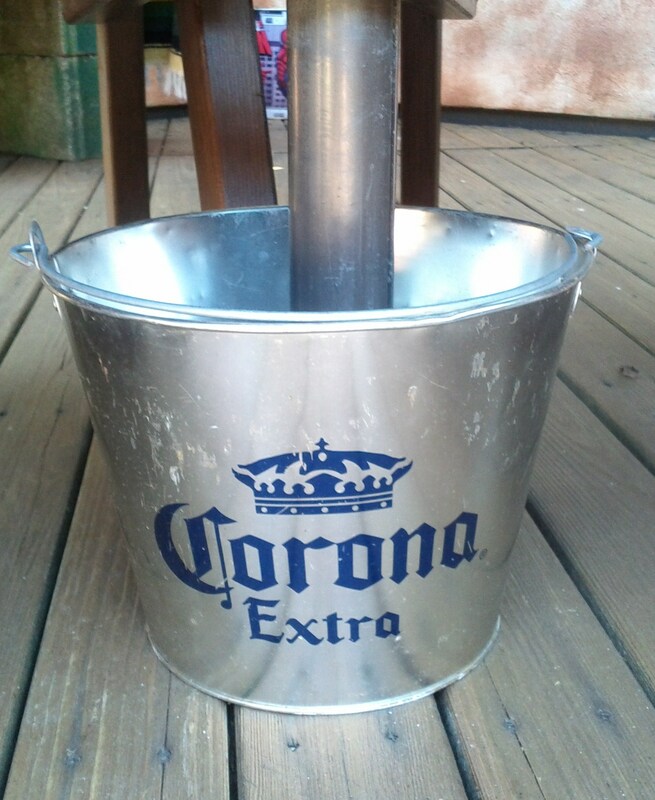 Drill a hole in the bottom of the bucket so plants can drain. Fill the inside of bucket with decorative rocks or shells to make it more solid. This is cheaper, more imaginative & more attractive than an original weighted stand. You can double it for your Christmas tree stand. I have three of these bamboo ladders which are used to display magazines. They work better and are more imaginative than an ordinary magazine rack. They would look as good in your bedroom with scarves or throws hanging from them or used as a towel rack in the bathroom. This is the time of year where I really make an effort to grow fresh herbs and keep them alive for as long as possible. So far so good except for Cilantro. For some reason I don’t seem to have a handle on that one so if you have any good tips please share them with me. The only herbs that seem to survive throughout the wet cold winter months is rosemary, mint & chives. There’s so many variations on the recipe below but if you’ve never made homemade pesto this is the classic version with a few touches of my own thrown in. It’s so easy to make & delicious tossed over freshly cooked pasta or a topper for fish or chicken. Lightly toast the pinenuts (if need be) in a dry skillet for about a minute. Chop garlic in food processor or blender. Add basil, pine nuts, cheese, lemon, chilli flakes and blend. Pour in oil and when mixture turns to a rough paste you’re done. Stir in salt & pepper. Makes about 1 cup. See below for other variations. 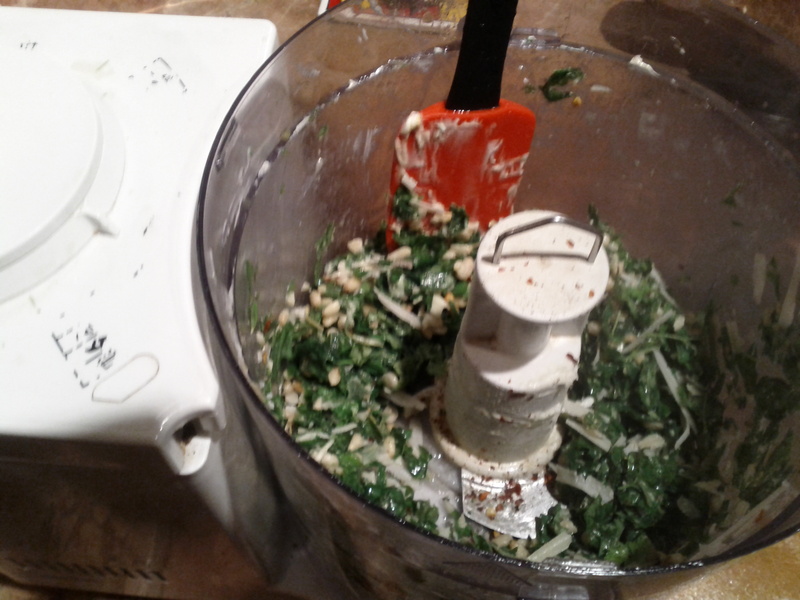 I’ve been using the same food processor that my parents bought me over 20 years ago. At that time they cost hundreds of dollars. I’ll probably be using it for the next 20 – works like a charm. My go-to oils – mix them all together to get varied flavor. In photo: Sicilian, Spanish with preserved lemon, garlic, chives & red pepper and a mushroom/sage bought from the Vancouver Olive Oil Company. You might want to try adding sundried tomatoes to the mix. Pinenuts are expensive now so you can substitute using walnuts (which are low in cholesterol) if you want. If you prefer you can use asiago or pecorino cheese instead of parmesan or even a mix of each for an interesting flavour. 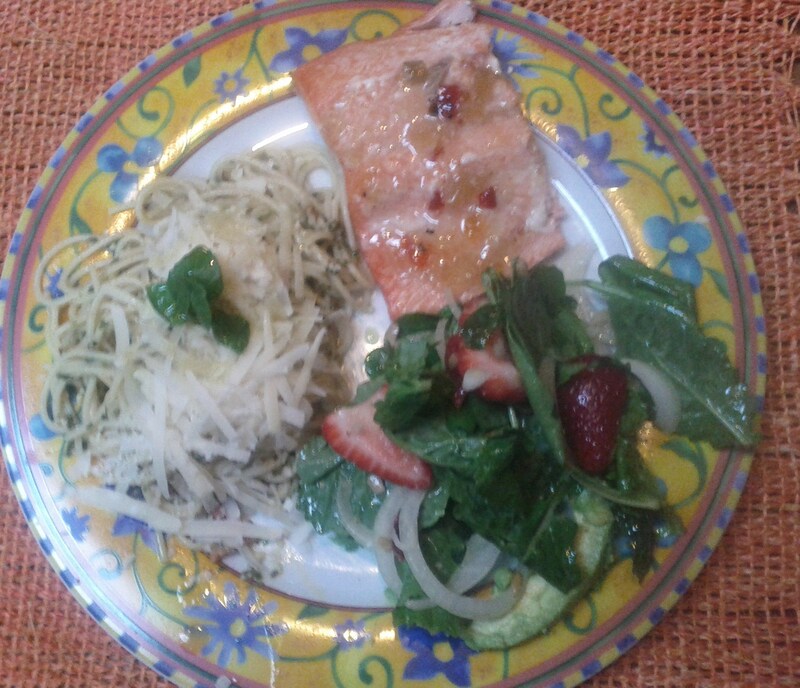 You can switch up the Basil for Arugula or try it the next time around. You can also substitute 1 cup of basil for 1 cup of other mixed herbs such as parsley, oregano, sage, marjoram and thyme (mix them all). You can make a black olive pesto using what else – pitted black olives. One cup of olives and less herbs – a Tbsp. each of basil, oregano, thyme & rosemary. 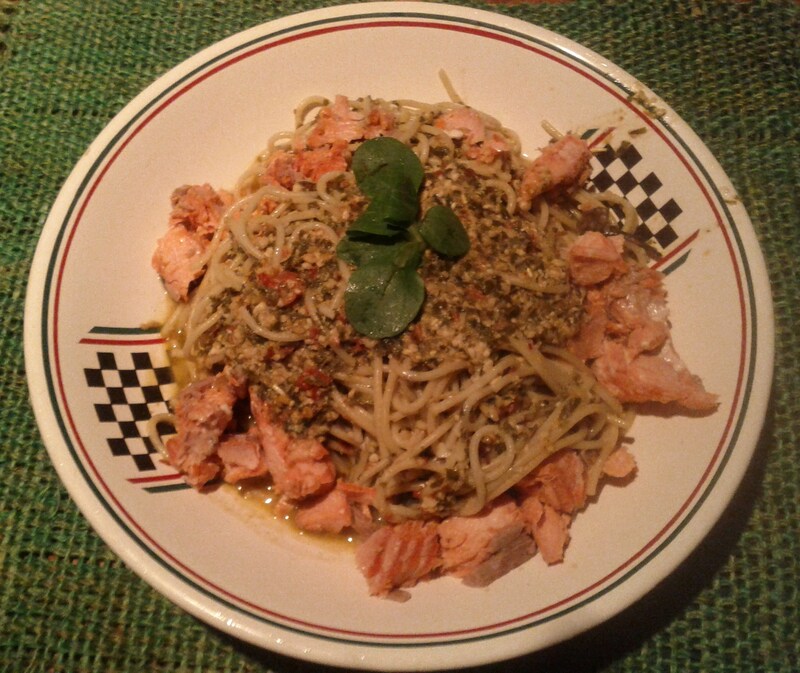 You can get pretty creative with making pesto. Soon you’ll come up with your own favourite version so experiment & ENJOY! How cute is this? From INstyle Magazine. This is the personal retreat of Will Smith & family – courtesy of Architectural Digest. Looks like no stone was left unturned in the building of this home near Calabasas, California. Our FEATURE PRODUCT of the week – the Garbe bra top! Brooke wears the Garbe short bra top in peony pink and Garbe California Capri in olive – shown in Redbook Magazine. Finally someone has come up with a practical, stylish bra top made for any activity. Fabric is seamless lycra/spandex which holds its shape & offers support. **When ordering an additional 20% will be applied if you mention this blog. Even dogs can get hair extensions at the Vancouver Folk Festival. 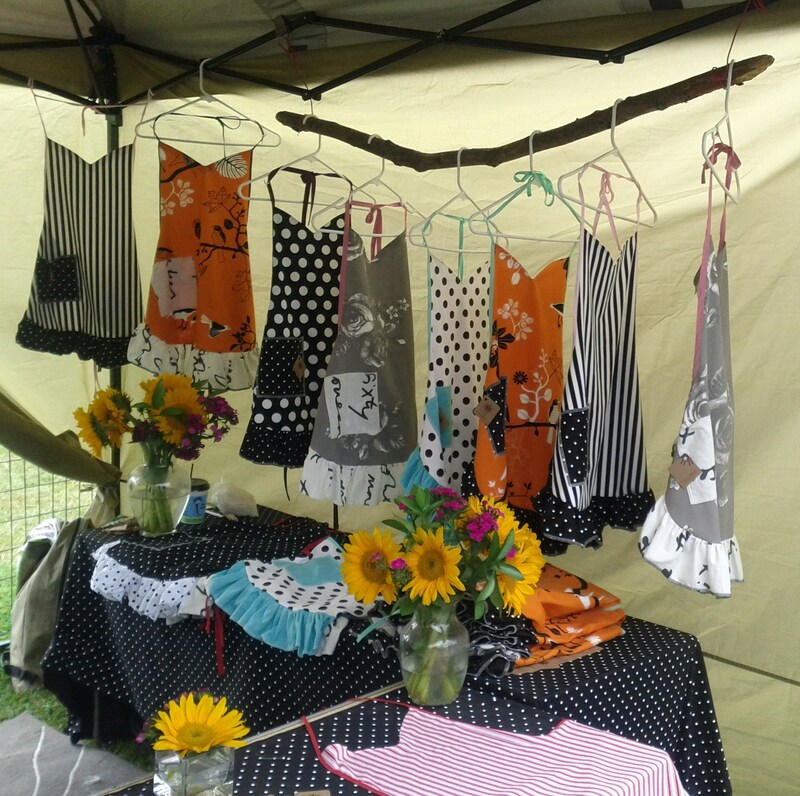 Pretty Aprons by Yuko Design – one of the many, many vendors lined up along Jericho Beach during the festival.